Indications: For the temporary symptomatic relief of skin irritations due to sunburn, windburn, chafing or diaper rash. Promotes healing of minor cuts and abrasions of the skin. Directions: Wash affected area with lukewarm water and apply freely as needed, or as recommended by a licensed healthcare provider. 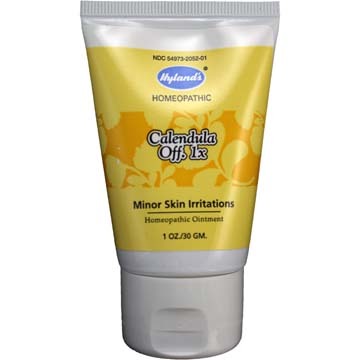 Contains: 10% extract of Calendula flowers (Marigold), HPUS in a base of Petrolatum USP with 5% Lanolin, USP.